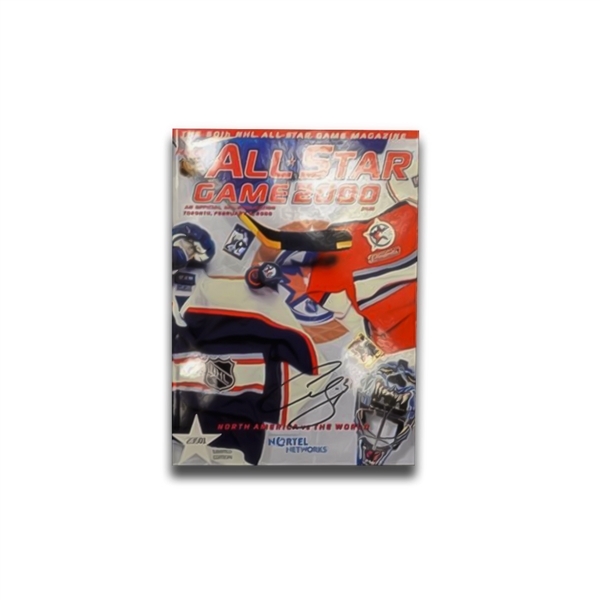 This 11x8" program has been personally signed by one of Toronto’s greatest goalies, Curtis Joseph. Curtis Joseph’s mask is featured in the bottom right corner of the program. This program is a limited edition of 23,501. Joseph finished his career with an incredible record of 454-352-90. Joseph also finished his career with a 2.79GAA, .906Save%, and 51 career shutouts. Joseph earned a King Clancy Memorial Trophy in 2000 for his outstanding leadership qualities playing with Toronto. A Frameworth hologram and certificate of authenticity are included to ensure the authenticity of the signature. Frameworth is an official licensee of the NHL & NHLPA.